Perched in a secluded green valley by the Petanu River, Maya Ubud Resort & Spa offers a tranquil getaway with a natural setting in Ubud. Guests can explore Peliatan rice terraces, indulge in relaxing spa treatments by the river, or enjoy quiet time by the infinity pool. 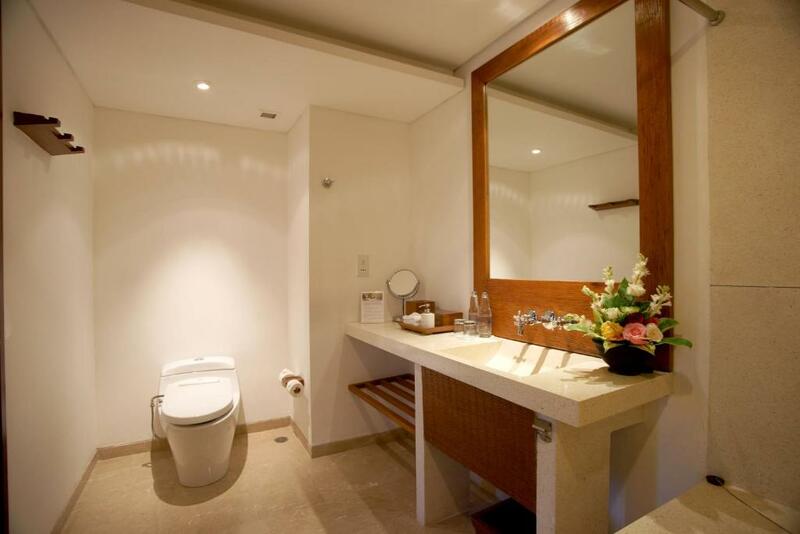 Providing free WiFi in all areas, this resort also houses 4 dining options on site. 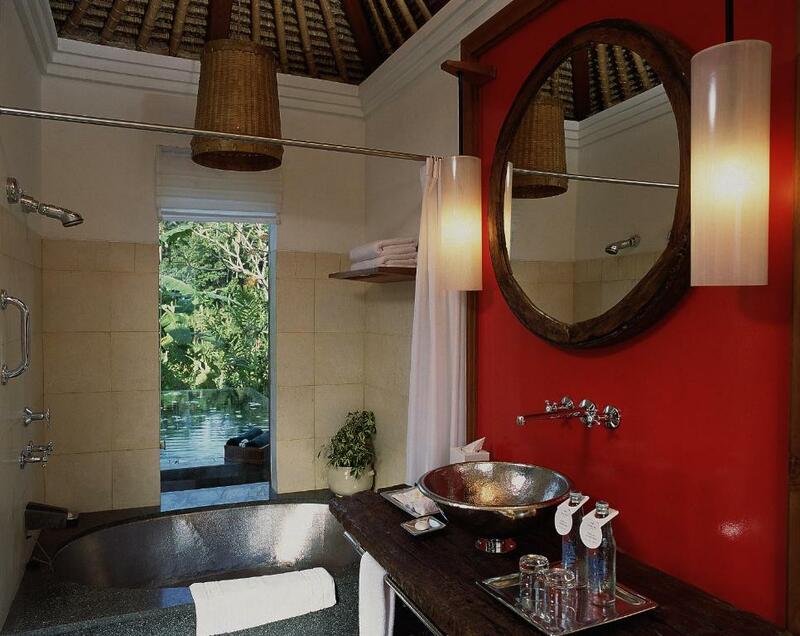 Maya Ubud Resort is less than 2 km from Ubud Market and 29 km from Ngurah Rai International Airport. 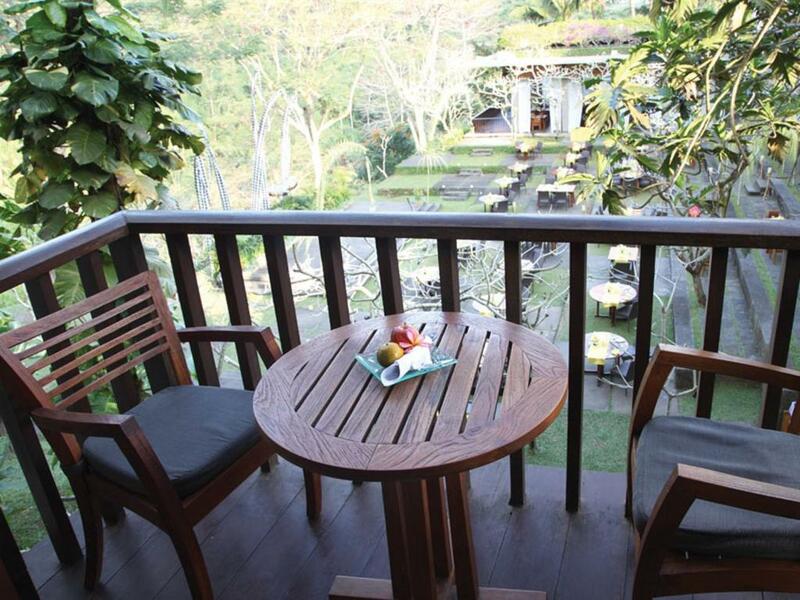 A free 2-way shuttle goes to Ubud City Centre from the resort. 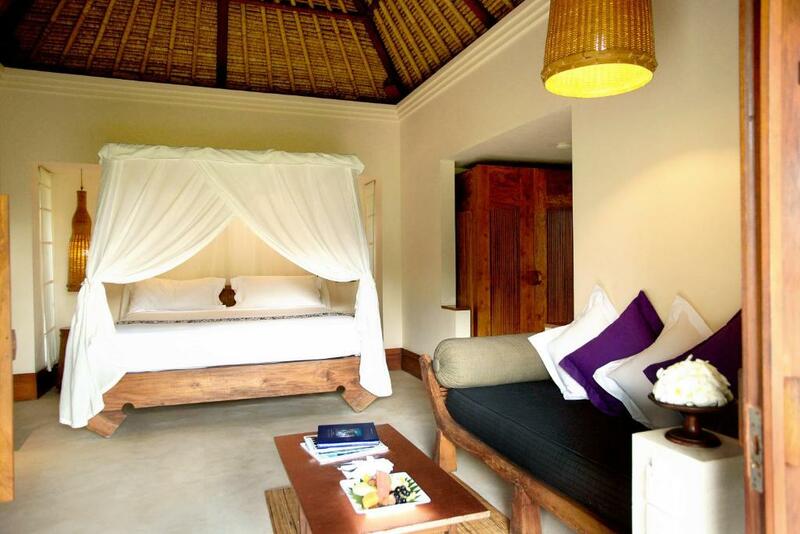 The resort is a 17-minute walk from Elephant Cave, while Yoga Barn Studio is a 20-minute walk away. 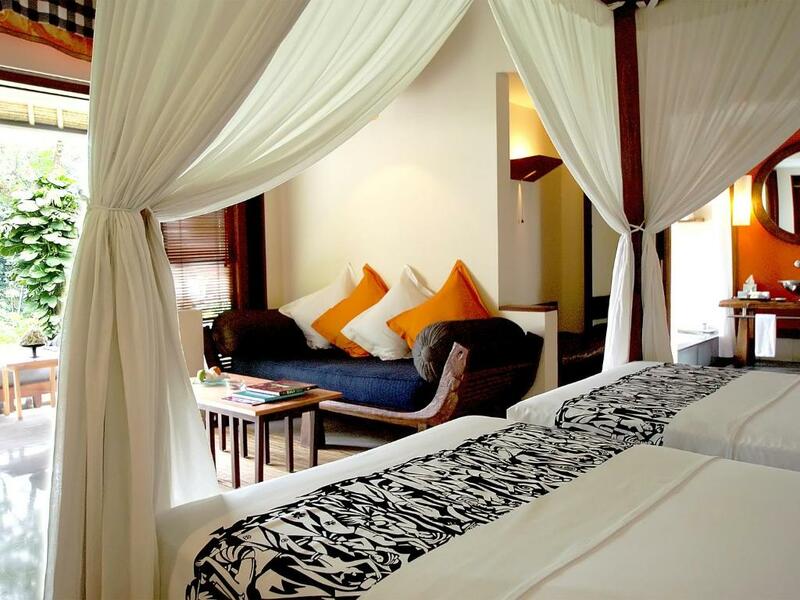 Blending traditional Balinese décor with modern comforts, air-conditioned rooms and villas at Maya Ubud are equipped with a TV with satellite channels and a minibar. 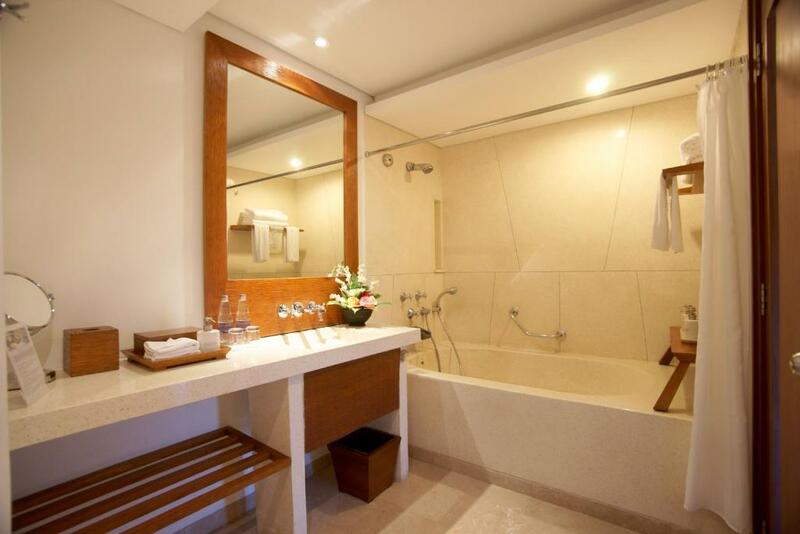 En suite bathrooms feature bathtub and shower facilities. Maya Sari Mas serves international dishes, while Maya Sari Asiatique features a Asian cuisine. Other dining options include free afternoon tea at Bar Bedulu, as well as salads and snacks at River Cafe. Complimentary afternoon tea is offered at Bar Bedulu between 16:00 and 17:00. 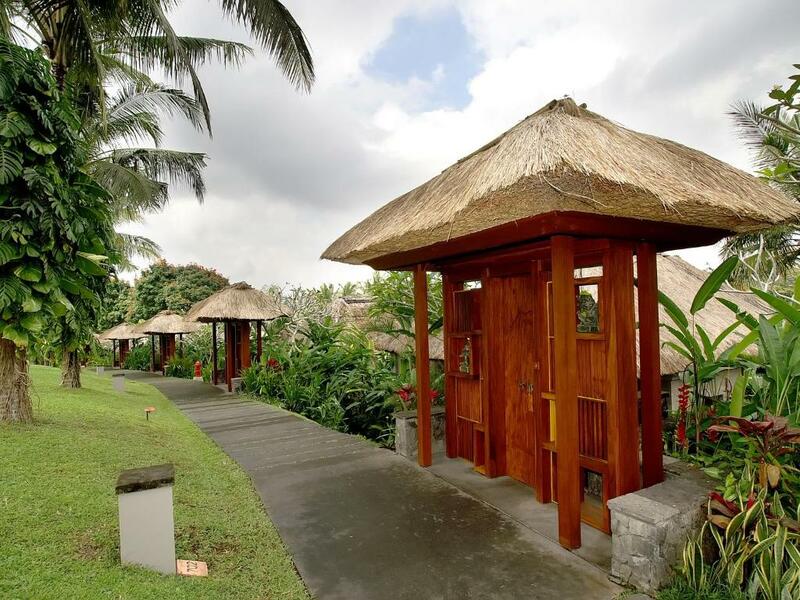 At Maya Ubud Resort & Spa guests can work out at the fitness centre, play a game of tennis, or join yoga classes at the open-air pavillion. A business centre and a bicycle rental service are also offered by the resort. Around the clock assistance is available at the reception, where staff speak English and Indonesian. 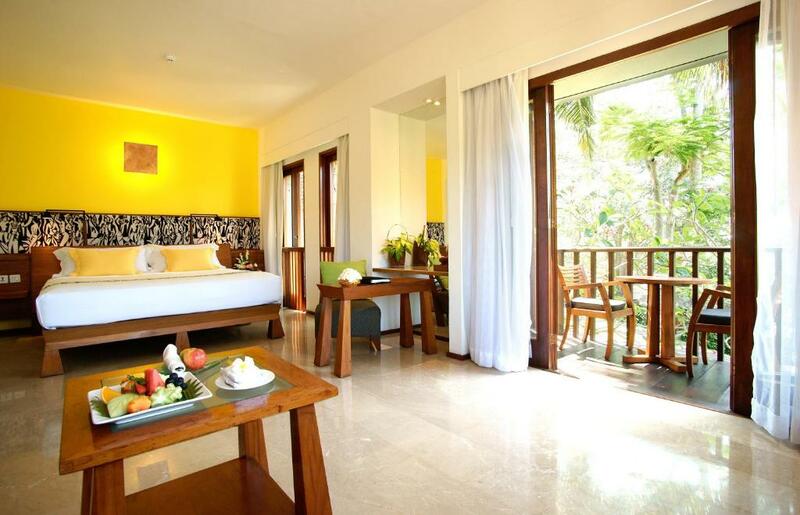 Maya Ubud Resort & Spa is 1. 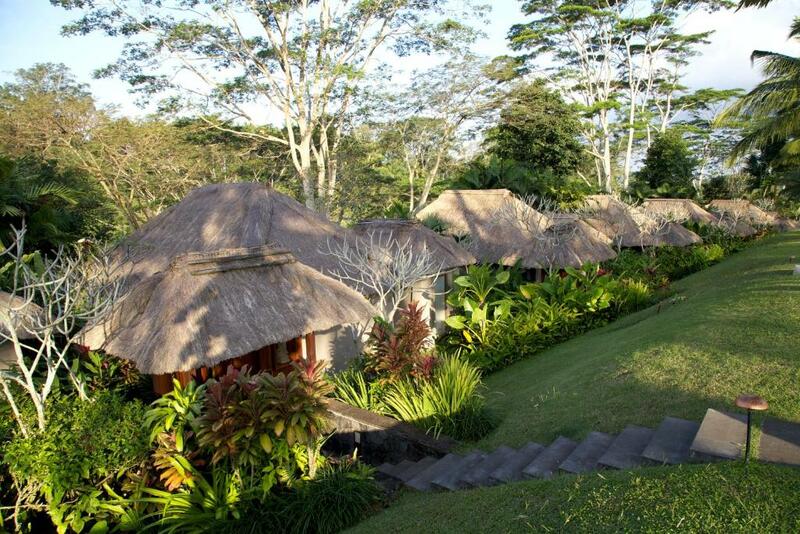 7 km from Ubud Market and Ubud Palace. Ubud Monkey Forest is 2. 1 km from the property. Please note that children are not allowed at the Spa, as well as the River Café and spa pool. The buffet breakfast for children (4 - 11 years) sharing a bed with a parent is chargeable at a discount price. In the event of Ngurah Rai International Airport closure on guest's planned departure date, the hotel will offer, based on a minimum stay of 3 nights, up to an additional 3 nights accommodation, including breakfast, free of charge. - The hotel will also work closely with the local government authorities to assist with transfers to the nearest available airport. Boasting plenty of space and natural light, this room features a balcony with views of Petanu river valleys or the Peliatan rice terraces. Boasting plenty of space and natural light, this room features 2 balconies with views of Petanu river valleys or the Peliatan rice terraces. 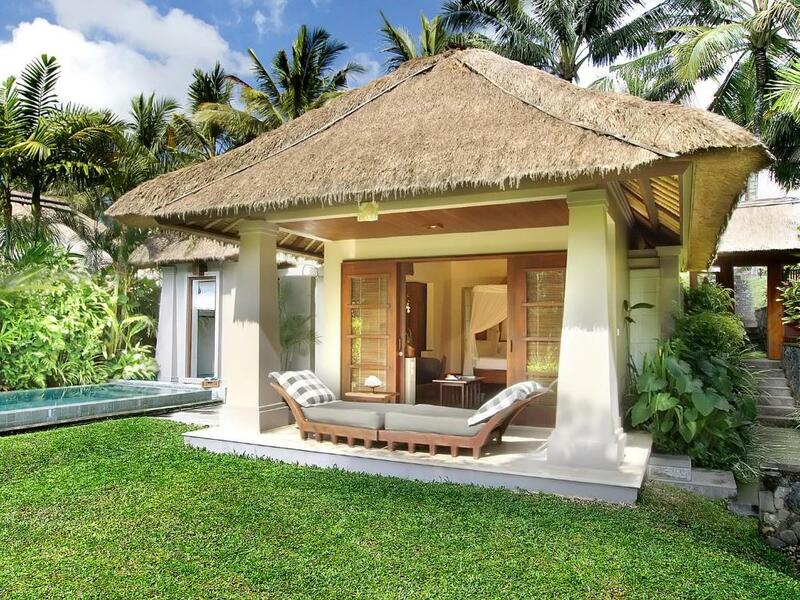 Surrounded by tropical landscape, this villa features a lush private garden. Surrounded by tropical landscape, this villa features a terrace with views of Petanu river valleys or the Peliatan rice terraces. This villa features a patio, electric kettle and minibar. 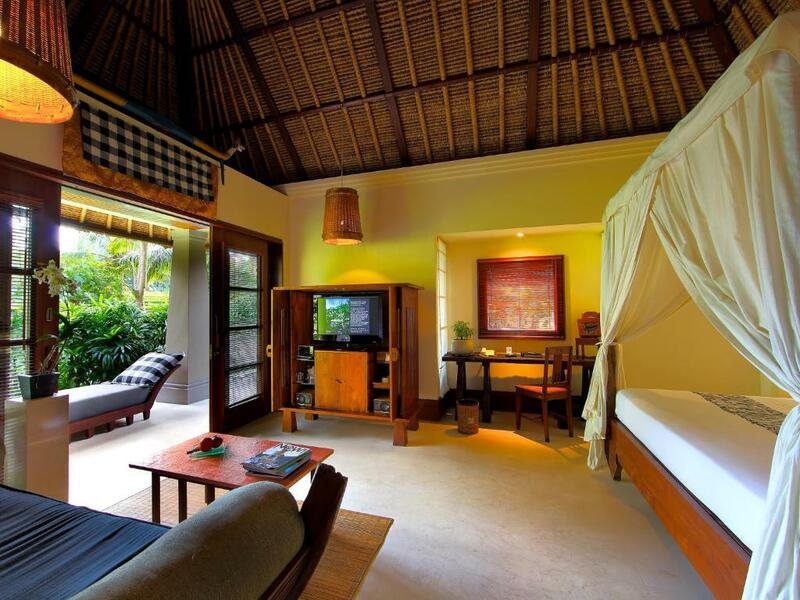 This villa has a executive lounge access, dining area and minibar. With a minimum stay of 3 nights, enjoy IDR 500000 resort credit per room per stay, valid for food and beverages, spa treatment and laundry. Resort credit can not be exchanged with cash and is non-transferable. This villa has a seating area, patio and electric kettle. This villa features a patio, executive lounge access and flat-screen TV. All children from 4 to 18 years are charged IDR 1102612 per person per night for extra beds. 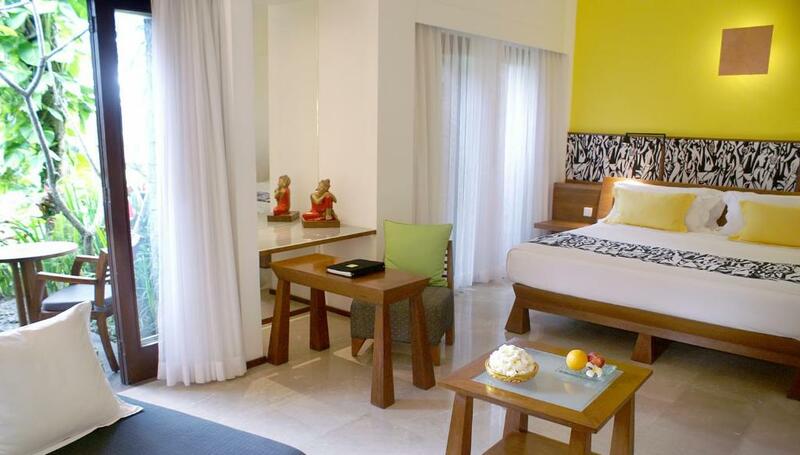 All adults are charged IDR 1102612 per person per night for extra beds. Your experiences are very helpful to other travellers. 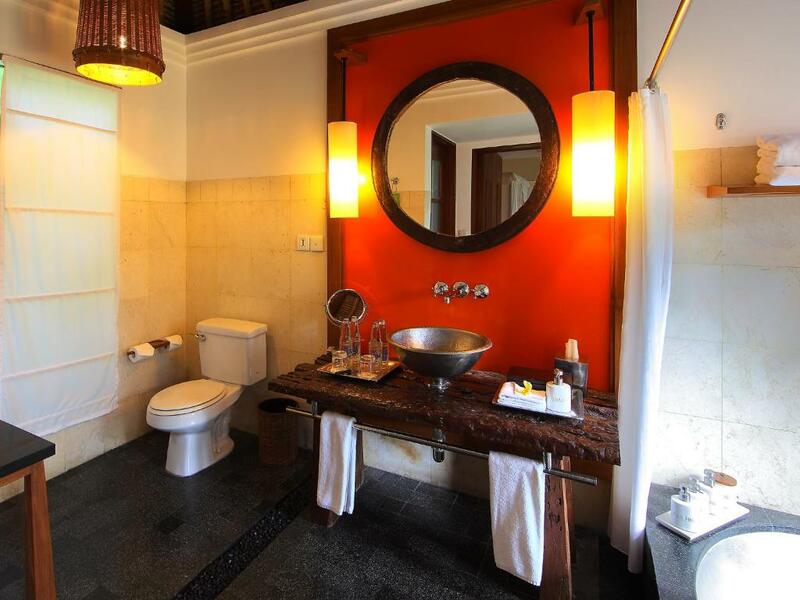 On a scale of 1-5, rate the equipment you have used during your stay at the hotel Maya Ubud Resort & Spa and express your opinion. Your opinion is important! 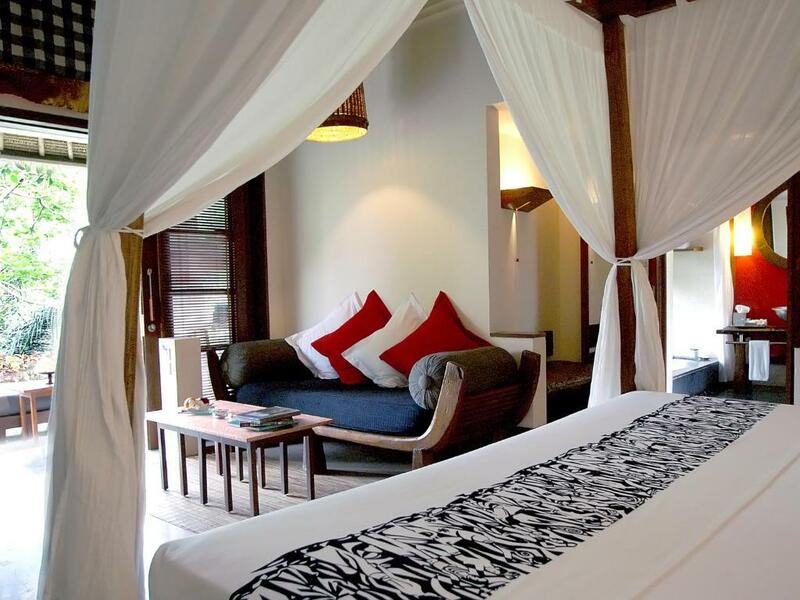 I certify that this review is based on my own experience and is my genuine opinion of this hotel (Maya Ubud Resort & Spa), and that I have no personal or business relationship with this establishment, and have not been offered any incentive or payment originating from the establishment to write this review.